The Sound Agents are an artist led not for profit arts organisation founded by John J.Campbell and Moira Kenny. The Sound Agents are holding an exhibition for Chinese New Year in the Dome of the Black-E in Chinatown Great George Street Liverpool. The City of Liverpool has financed the project to celebrate the success of the Shanghai Expo. An immersive sound work entitled Chinatown my Chinatown created by Mr Campbell and Ms Kenny will be presented in the Dome. 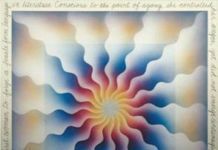 A rich sonic mix of morse code, ambient shipping sounds, unicorn music, spoken word and Buddha machine. Chinatown my Chinatown is arranged and produced by Mr John J. Campbell. The event will include a Sedan Chair and a Chinese Unicorn on loan from Mr Colin Wan UK Chinese Unicorn Arts Academy and a lucky rabbit. To complete the celebration the Dome will be lit with Disco lights. The audience will be sonically transported to explore reflections and observations of dreams lost and found in Chinatown. 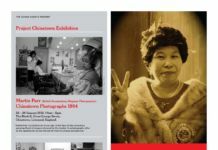 LJMU are sponsoring the event and have financed the production and print of 6000 copies of a special edition newspaper entitled Chinatown my Chinatown. Mr Campbell and Ms Kenny extended the invitation to celebrate the success of the Shanghai Expo to researchers, artists and musicians. Each artist has illustrated a page in their own unique style including Mr C.K.Cheung Master of Calligraphy who designed the front page, Musicians include co –founder of The Sound Agents John J. Campbell It’s Immaterial also Mick Head Shack, and Will Sergeant Echo and the Bunneymen. Mr Jon Barraclough and Mr Mike Carney have worked closely with the Agents on the design of the publication. Thanks to the pupils of the Wah Sing Chinese School for designing the back cover.